Kondogbia will travel to England on Monday. Premier League newcomers Reading and Spanish giants Sevilla are both in the chase for French Under 19 international, Geoffrey Kondogbia. The versatile 19-year-old, who can play centre back, left back or central midfield, was a regular at French Ligue 2 side Racing Club de Lens last season and has an impressive performance tally with the French national side at youth level. After a successful season he now wants to play at a higher level. He was also part of the squad that lost their recent European Under 19 Championship semi final against Spain in Estonia. It is reported that Kondogbia will travel to England on Monday to discuss terms with a club which is expected to be named as the Royals. He has been compared to Raphael Varane, who left the French outfit last season to join Real Madrid in an £8 million deal. 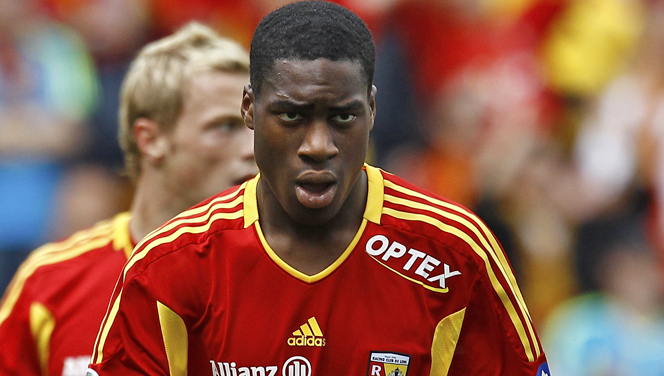 Kondogbia started 29 matches for Lens last season in which he scored one league goal. At youth international level however, he has totalled 35 appearances and 7 goals throughout a career that saw him start at Under 16 level and seen him step through the ranks to his current Under 19 side.